A. Don't actually alter the official history/canon. B. Supposedly did happen but somehow nobody remembers. I don't mind this at all, the last Cosmic Ghost Rider mini-series that recently came out was relatively well-written and had some amazing artwork from Dylan Burnett. 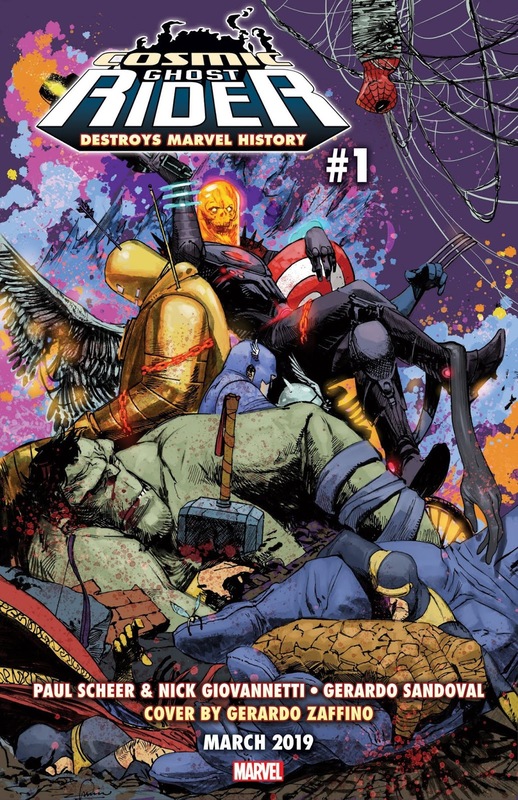 I imagine the next mini-series with an assortment of creators (Paul Scheer, Nick Giovannetti, and Gerado Sandoval) will be fun, but I am surprised Marvel was hyping this up so much as a comic with world-shattering revelations.